It is a country where a hike can be a walk in the woods—or a whole lot more. There are lowlands jungles where the big cats still roam free, mountain ridges covered in tropical pine forests and river valleys where azure waters surge up from holes in the ground, only to be swallowed again by the dark entrance of a cave. Belize rewards the adventurous trekker with a range of bucket-list experiences, but also offers easier routes for those who just want to escape civilization for a while. And best of all, these adventures can be enjoyed as day trips from many of the country's beachfront resorts. More than 80 percent of Belize remains covered in forests and jungles, and the country has the lowest population density of any nation in Central America. These factors combine to provide hikers with miles of uncrowded trails, and pristine jungle and mountain landscapes to explore. 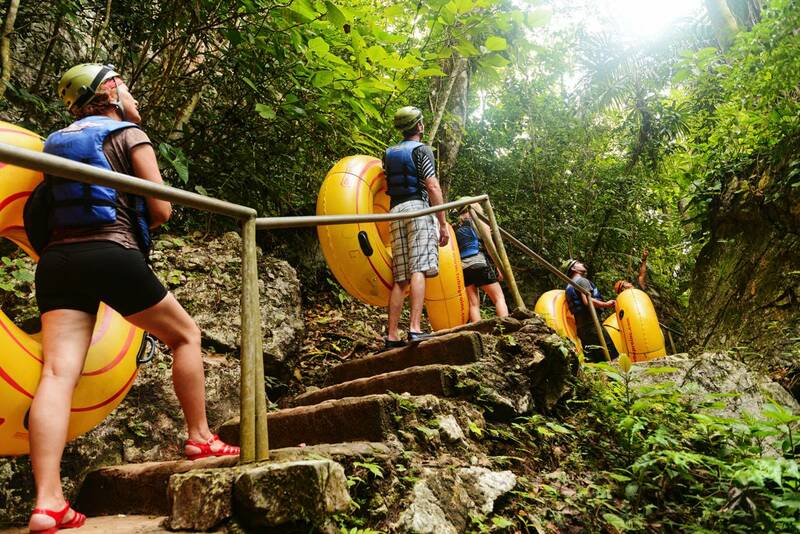 On many tours, a hike in Belize isn't a journey unto itself, but a means of getting to and back from an adventure such as a cave tour or river swim. When this is the case, you will want to include a towel for drying off and a change of clothes for the return walk. A walk into the heart of the Tapir Mountain Nature Reserve leads across a jungle river to the Cave of the Stone Sepulcher. Trekkers can test their nerves with a descent into the Black Hole to explore passages that hold ancient Mayan artifacts. Journey to the source of the Blue Hole River and learn about indigenous medicinal plants along the way. 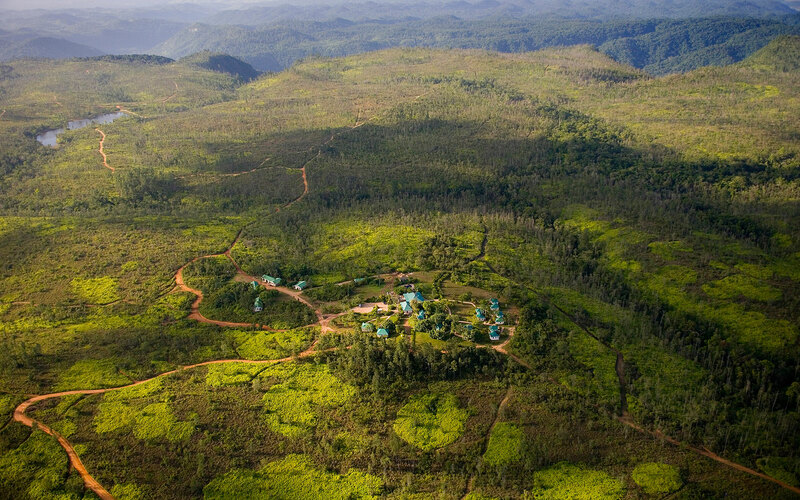 Venture into the Cockscomb Basin Wildlife Sanctuary, home to the largest concentration of jungle cats in the world. Ascend into the only true pine forest in all of Central America, the Mountain Pine Ridge Forest Reserve. Comfortable light-weight long pants for protection from the brush, and a loose-fitting shirt that will provide cooling and allow ample freedom of movement. Moisture wicking and fast-drying fabrics are best. Shoes with a reasonably aggressive tread pattern for traction on muddy trails. Bring plenty of water and bug repellent. SAN IGNACIO - CARADONNA RECOMMENDS includes 7 nights Balam Suite accommodations, continental breakfast daily including coffee & tea (option to add-on full breakfast and dinner daily including one non-alcoholic drink for $729 per person), one bottle of water per person per day, daily bar snacks in the evening, free WiFi, one cave tubing and zipling combo tour, one Xunantunich Maya Ruins tour, roundtrip ground transfers from Belize International Airport, hotel tax and service charges. Valid through 12/17/18 & 5/1/19-12/17/19. MAINLAND TO AMBERGRIS CAYE - WATERFALL & SUNBREEZE PACKAGE includes 4 nights Estate Room accommodations at Hidden Valley Inn, breakfast, lunch and dinner daily, full day tour at Caracol Maya Site with stops at Rio Frio Cave and Rio Hon Pools, choice of Barton Creek Cave canoeing or ½ day Horseback riding, 3 nights accommodations at Sunbreeze Hotel, choice of 2 days of 2-tank local dives for certified divers or one 2 ½ hour snorkel trip and day sail and snorkel Caye Caulker for non-divers, breakfast daily, complimentary use of bikes, roundtrip airport transfers, roundtrip air transfer on Maya Island Air from Belize International to San Pedro, hotel tax and service charges. MAINLAND BELIZE - SPA & CULTURE PACKAGE includes Bungalow Luxury accommodations, breakfast, 3-course dinner, 1-mood mud massage 1-seaweed, 3-aromatherapy massages 1-scrub, 1-african honey bee scrub, 1-mood mud wrap, 1-facial, 1-spa mani/pedi, 1-tour of Altun Ha Mayan Ruin, horseback or hike, transfers. Optional add-on Medicinal Safari Hike or Cave Tubing & Zip Lining. DANGRIGA - ADVENTURE PACKAGE includes 7 night sdventure and dive package includes 7 nights accommodations, breakfast, lunch and dinner daily, air and ground transportation from Belize International airport to resort, welcome cocktail, 5 adventure days including choice of diving, snorkeling, waterfall hike, Wildlife Sanctuary and Jaguar Preserve Cave and Jungle Experience, Tropical Birding, Jungle River Kayaking or Canoeing or Mayan History Tours, hotel tax and service charges. 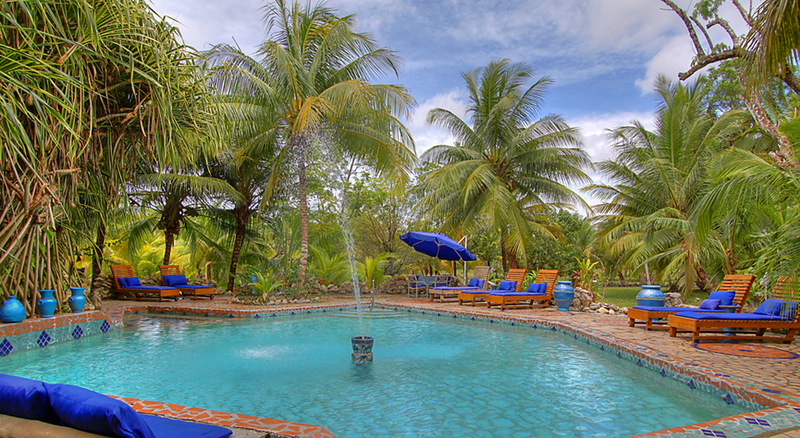 MAINLAND BELIZE - Maruba Resort Jungle Spa is unquestionably the place to be. It is a Hip boutique resort and spa literally where the wild things are. If Tarzan came swinging through on a vine here, no one would blink. He’d stop for a rum punch and a dip in the hot tub. Humming birds swoop from the jungle canopy in this dreamy, romantic, and natural environment. Maruba is a quirky place that sings with nature. It is a distinctive alternative to the local day spa where treatments are derived from a meld of curative powers extracted from the remote jungle with science. 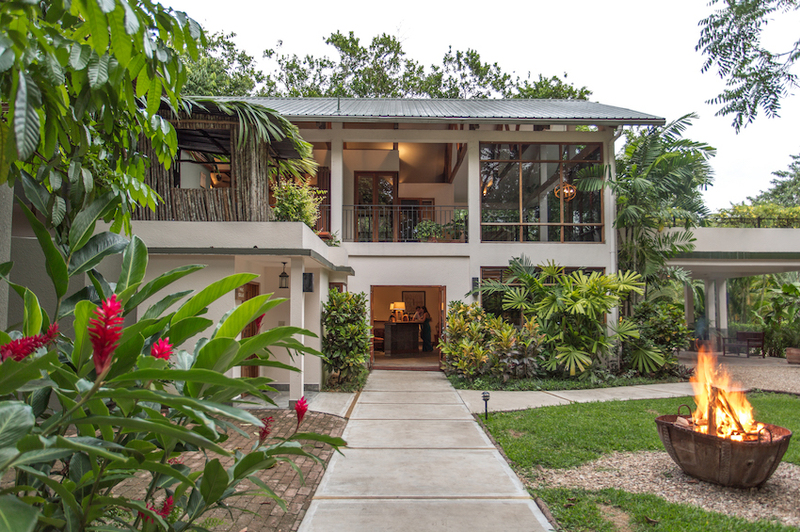 SAN IGNACIO - Ka'ana Resort is Belize's first Small Luxury Hotel of the World. True to its Mayan name 'Ka'ana' meaning, 'heavenly place,' this delightful resort, set in tropical gardens, offers exceptional accommodation in charming cottages with fine dining, superb service and easy access to ancient Mayan sites and numerous thrilling activities. Enjoy the best of Belize - its people, its food, and its attractions at a world class resort. 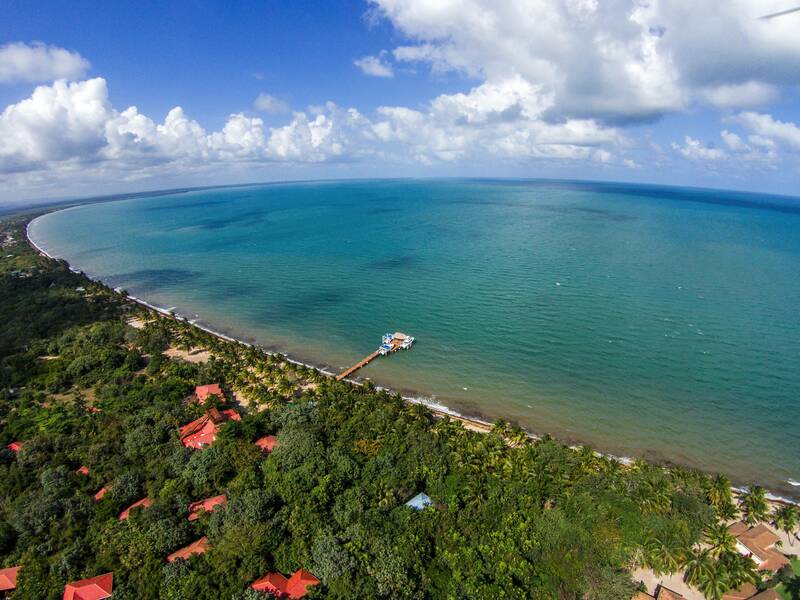 DANGRIGA - Hamanasi is a boutique hotel on the southern coast of the Belize mainland offering spacious treehouse, beachfront room and honeymoon suite accommodations with handcrafted hardwood furnishings, air conditioning and private porches. 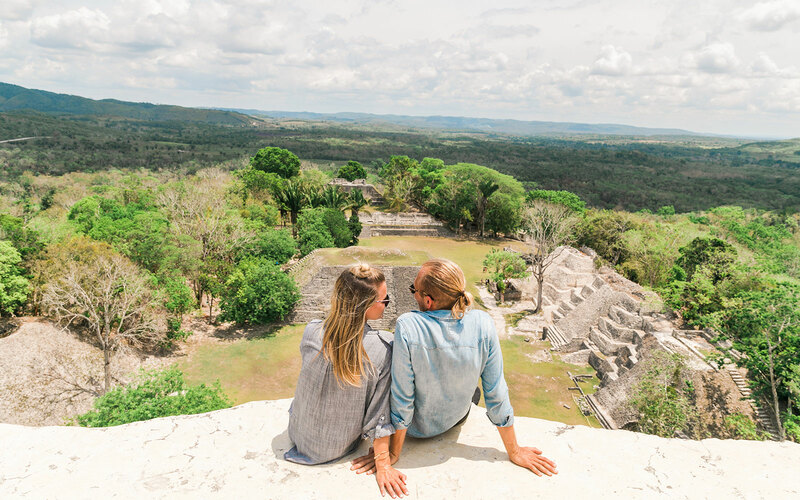 From scuba diving Belize’s Great Barrier Reef and Belize's three atolls to climbing Mayan pyramids, hiking through rainforests in search of hidden caves, to birdwatching, Hamanasi resort offers it all at one comfortable, convenient location. MAINLAND - Hidden Valley Inn comprises an estate lodge and just six surrounding cottages, each with two suites, making for a highly personal and exclusive vacation experience. The lodge, once the Main House of the Hidden Valley estate, boasts several fireplace lounges, a handsome bar room that opens to the pool's stone terrace, beautifully surrounded by gardens of orchids, lilies and bromeliads. At night, enjoy the Jacuzzi under Belize's starry skies or cozy up with a book after dinner. The restaurant at Hidden Valley Inn is an epicurean delight reserved for property guests only. Candlelight dinners are best when followed by a nightcap in our cocktail lounge. And after, guests make their way back to their individual cottage where, on cooler evenings, a fire is glowing.In the morning, refreshed and ready to venture out into the broad landscape of Hidden Valley Reserve, guests meet the friendly staff to go over the day's itinerary.